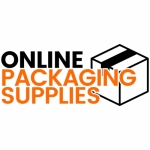 We supply a great range of packaging products to meet the everyday needs of UK business and private customers and have designed our ordering process to be quick and simple. Just select the products and quantities you require and add them to your shopping cart. Payment can be made by credit/debit card or by PayPal and delivery is free for orders over £100 to UK mainland destinations. Discounts are available for multi-buys of most products shown. Fulfilment for: Marketing, Publishing, Print, Retail, Leisure; Mail Order Processing, Sales Promotion, CRM, Supply Chain Management, Order Processing, Asset Management & Inventory Control, Brand Management, Order Processing, DM Handling. Practical and lightweight Mail Lite White postal envelopes lined with bubble wrap for all-purpose superior protection. They have a tough Kraft outer and a self-seal strip on the top flap. High density spiral wound cardboard postal tubes with 2 end caps. For posters, plans and documents. Manufactured using recycled materials. A huge selection of corrugated cardboard single wall packing cases. Delivered flat - easy to assemble. Made to FEFCO 0201 style. A huge selection of double wall corrugated cardboard packing cases - Double Wall For Extra Strength. Made to FEFCO 0201 style. Our strong and transparent bubble wrap is perfect for wrapping fragile or breakable items. The air-filled bubbles create a cushioning effect which absorbs impact and helps protect against breakages. Available in large and small bubbles. Clear, resealable, polythene bags with a plastic fastening that clicks shut and pulls open. Grip seal polythene bags are also known as supagrip, minigrip, grippa, ziplock, zipper, easy-seal and self-seal bags. Strong and bend resistant with edge protection, these cardboard envelopes provide a safe and secure way to send items which need that extra protection. Peel and seal closure with easy opening tear-off strip. Multi-purpose polythene bags. Lightweight, food safe, versatile and economical. Wide range available at fantastic prices! Lightweight, economical, dust and lint free, this foam wrap provides soft protection for all kinds of products. Non-corrosive, lightweight and non-abrasive. Bubble bags with self-seal tear-off strip. A quicker alternative to hand-wrapping with bubble wrap and no waste! Strong, durable and versatile, these are great for protecting individual items when packing. Available in a variety of sizes. Puncture resistant stretch wrap film. Supplied by the roll and easily applied by hand or using our purpose-built stretch wrap dispenser. Our stretch wrap film will stabilise and protect shipments ready for transit. Choosing the right packaging can avoid damages to your products, save money on postal costs and eliminate potential handling delays. Mailing bags, postal tubes, padded bags, adhesive tapes and more. 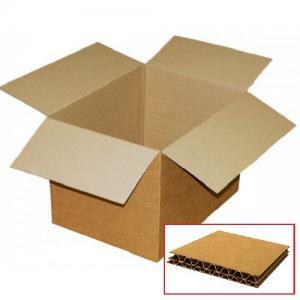 We offer a wide range of cardboard boxes suitable for most everyday needs. Our single and double wall boxes are made to FEFCO 0201 style and are strong and durable. They are delivered flat-packed are are easy to assemble with regular adhesive tape. Our range of polythene products is strong and weatherproof and we offer a variety of product sizes to suit most needs. We supply polythene bags, grip seal bags, polythene layflat tubing, refuse sacks, polythene postal mailers and shrink wrap. Our range of protective packaging will help to ensure safe delivery - bubble wrap, foam wrap, packing chips, kraft paper, tissue paper, bubble pouches, in addition to our range of protective postal packaging available elsewhere in our webstore. High quality adhesive tape for packing and sealing. We supply an extensive range of adhesive tapes for every situation, from standard household acrylic tape to extra strong vinyl sealer. Supplied by the roll and can be easily applied by hand or using our purpose-built stretch wrap dispenser. Machine wrap also available. Here we present our selection of office stationery products and related general office supplies available on our website at fantastic prices. Pens, printing paper, sticky notes and other office accessories.